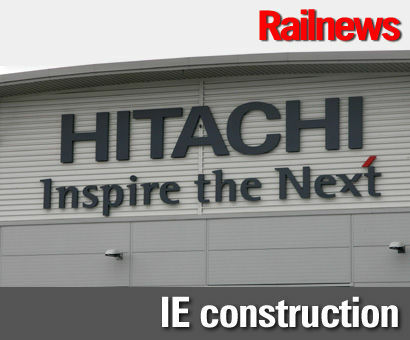 WORK has started in Japan building the body shells for Intercity Expresses destined for the East Coast Main Line. The 65 sets, specified and ordered by the Department for Transport, are due to come into service with Virgin Trains East Coast from next year, and the main assembly of the new trains will be carried out at Newton Aycliffe in County Durham. A prototype set was run into London King’s Cross in March last year, when it was announced that the East Coast IE fleet will be branded ‘Azuma’, which is Japanese for ‘east’. Virgin Trains East Coast managing director David Horne said: “We are very excited to be moving closer to the day when our fantastic new train comes into service. The VTEC network will also grow next year, with new routes being added to Huddersfield and Middlesbrough, while existing services should be quicker, because the IE fleet has better acceleration. Hitachi Rail Europe managing director Karen Boswell said: "The new Azuma fleet will be a combination of Japanese design and British manufacturing.